The ID-192081 is an embedded one-dimensional/two-dimensional barcode reading engine that uses CMOS imaging technology and an internationally advanced intelligent image recognition system with independent intellectual property rights. 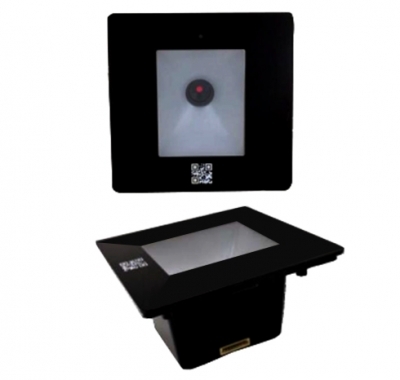 ID-192081 has powerful reading performance and can read bar code information on printed matter or magnetic card. The standard 86 switch size is mainly used for the needs of embedded access switch boxes, libraries, subways, train station gates, and bus credit card machines. The ID-192081 has been specially designed for the reading of the current screen bar code, making screen reading performance even better. ID-192081 also provides users with a wealth of secondary development features, including providing users with a completely open image acquisition interface, device interface, and I/O operation interface. Users can easily solve personalization needs with the provided SDK. Support Wiegand output, the standard protocol is Wiegand 26 and Wiegand 34 protocol; can be customized according to demand, such as Wiegand 39 protocol, Wiegand 44 protocol, Wiegand 66 protocol … etc. Barcode reading distance is 0~10CM, 5CM distance is the best; depending on the barcode, the situation may be different, it may be far more than 10CM. The NFC recognition distance (optional) is 0~5CM. The distance varies according to the card type. MICRO QR, MICRO PDF417, QR Code, DataMatrix, PDF417, CS Code etc.